If you had taken an Ola or Uber taxi in Bangalore during campaigning, before the just-concluded elections in Karnataka, and asked the driver who would win, he could have said “Kumaranna”, even though, at that point in time, political observers could not have visualised that Janata Dal (Secular) leader H.D. Kumaraswamy had even the slimmest chance of winning. But then, at times, political pundits can completely miss the target while the hunches of voters can be spot on. 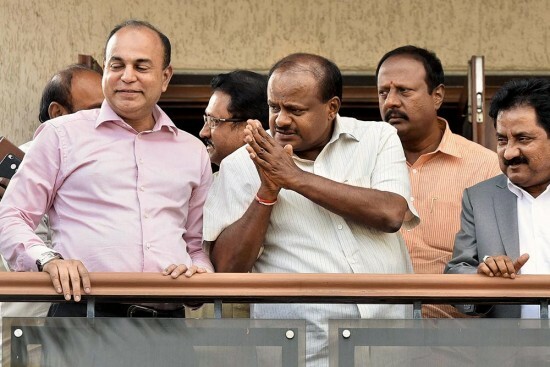 As of this day, Kumaraswamy is in contention for the chief minister’s post. Whether he eventually gets it or not is a different matter, but the fact that he is there, eyeing the much-coveted chair, readying to slide into it, is the biggest surprise of the Karnataka election results have thrown; bigger than even the dismal showing of the Congress and the rise of the Bharatiya Janata Party. It’s tempting, and perhaps even convenient, to attribute the results to caste factors as many analysts are wont to. That the dominant Vokkaliga community in south Karnataka deserted the Congress, the Lingayats in north and central Karnataka opted for the BJP and the Dalits partly abandoned the Congress are factors that will be speculated. But no one can cross-check and ascertain such assertions for validity. Five years back, in the 2013 ­elections, the BJP had only ­managed five seats in coastal Karnataka. The problem with a caste-based election analysis is that it tends to see a state in isolation. Assembly elections, doubtless, reflect the general situation in a state, but one has to take into account the nation’s macro-politics too. Much has changed since 2014. The advent of the BJP, more specifically, Prime Minister Narendra Modi and party chief Amit Shah, has deepened the communal divide across the country, concomitant with the rise of the Sangh Parivar’s ideology of Hindutva. Karnataka is not immune to this. The coastal region, comprising the areas around Mangalore and Udupi, reflects this change rather starkly. The region was considered to be communally tense even before 2014, but post-BJP at the Centre, the divisions between Hindus and Muslims have broadened massively. This rapid polarisation has played a part in the Congress being swept away in this region, ­winning just three of the 21 seats. The remaining 18 went to the BJP. Five years back, in the 2013 assembly elections, the BJP had only managed five seats in the ­region. This was despite the fact that communal polarisation was already a dominant narrative in this region. But the deciding factor in 2013 was that there was massive anti-incumbency against the then crisis-ridden and scam-tainted BJP government of B.S. Yeddyurappa and that steamrolled all other factors. Between the 2013 elections and now, there has been a sea change in the country’s politics. Across India, five years ago, the Congress was still the ruling party in many states and at the Centre. Now, the party has been reduced to a few specks on the nation’s map. The Hindutva agenda of the RSS has ­finally entered the national mainstream, a fact made clear by the enormous dividends reaped by its political wing, the BJP, at the electoral box office. Since 2014, apart from the RSS and the VHP, numerous other allied organisations have been ­expanding at the local level across the country. In Karnataka too, which already had a sizeable RSS unit, the growing saffron network has been instrumental in getting votes by working at the local level in the state during elections. To top it up, there’s the push given by the campaign of the party leadership—the Modi-Shah duo, which has proved to be potent. While it failed to cross the winning line, the fact that the party managed to get 104 seats (nine short of a majority) from a measly 40 in the previous elections, is testimony to the grassroots machinery of the Sangh Parivar. In addition to all this is the BJP’s command over social media, which supplemented the vote-mobilising efforts at the grassroots. It also helped advertise PM Modi’s grand campaign. Behind the success of Modi’s blitzkrieg lies the professional job of activating voters and activists by preparing the ground for various meetings and rallies. His speeches from the campaign hardly mentioned any issue of importance. The few relevant points he made were drowned by his incessant, personalised barbs at the opposition, notably Congress President Rahul Gandhi and his ­family. He also delivered a confusing mix of attacks and praises on JD(S) supremo, former prime minister H.D. Deve Gowda. Modi also attempted to dig into history, fishing out eminent personalities from the state, such as Field Marshall K.M. Cariappa and General K.S. Thimayya, and conveniently garnished facts to suit the occasion—he claimed that these state icons were insulted by past Congress leaders like Jawaharlal Nehru. To cut a long story short, Modi’s speeches were found wanting on facts. But then, facts were never the selling point of the massive 21 rallies addressed by the PM in Karnataka. It was all the hype, the razzle and dazzle. While it is next to impossible to conclude whether voters changed their minds after hearing his bhaashan, one can safely say that the Sangh Parivar’s election ­machinery ensured that they received all the attention possible with their campaign. One could even factor in the possibility that the glamour and paraphernalia that go with a PM’s entourage—especially a PM like Modi—may have had its effect on people in remote corners of Karnataka. The Congress, which was looking confident with its various pre-poll manoeuvres—CM Sidd­a­ramaiah’s decision to recommend separate rel­igious status to the Lingayat community, his support to Kannada sub-nationalism—is bound to spend considerable time wondering what hurt its chances. A logical conclusion is that both these tactics did not work. This could mean that neither pro-Kannada activists were impressed by these decisions, nor did the Lingayats see any major ­benefits for their community. Where the Congress may have failed is in figuring out a counter to the BJP’s larger ­narrative of Hindutva. Other shouting points for Siddaramaiah in the campaign were his various populist schemes, such as the Anna Bhagya scheme (giving rice at Rs 1 per kg to the poor) and subsidised housing and low-cost canteens that served quality food at extremely low prices. Their effect on voters seems to have been marginal, if at all. Where the Congress may have failed, and is continuing to stumble, is to figure out a counter to the larger narrative of Hindutva. On this, neither Siddaramaiah, nor party president Rahul Gandhi, or even the entire party think-tank, have been able to weave a creditable response. They ideally need to come out with something totally different and equally ­powerful to wean voters away from a polarising narrative. 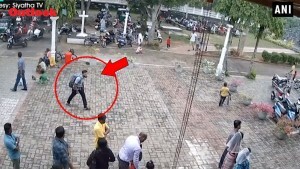 Weeks before the elections, sections of the Muslim community in Karnataka, which is spread equally across the state with a total population of around 12 per cent, attempted to galvanise voters and persuade them to vote only for the Congress. This was the minority’s way of countering Hindutva forces and ensuring that their vote was not split. The results show that they have not been able to succeed in totality, though the fact that the Congress did not fare too badly vote-share wise can be attributed to this Muslim consolidation, to an extent. It is clear by now that the Congress in Karnataka has had trouble keeping its flock committed at the booth-level across the various constituencies of the state. While the details of this are not immediately clear, it is time that the party ­rebuilds its organisational network and gets round to working from the grassroots if it needs to win elections. As for the JD(S), the party secured 37 seats in its strongholds in south Karnataka and parts of north Karnataka in areas bordering Telengana. And this came without putting in too much effort. In the last five years, revolts and squabbles in the Gowda family have spelt trouble for the party, but the fact remains that JD(S) has the goodwill of a vast number of voters (like Bangalore’s cab drivers). It could have been the main alternative to the Congress in the state had the leaders ­displayed strategic vision and avoided a split in 1996. But that is another story.